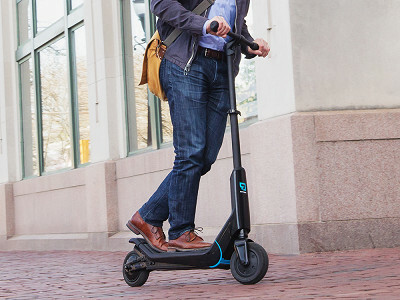 Buzz to class, the office, or around the neighborhood on an electric scooter that uses push and pull technology. CityBug2 rides smoothly, like a Segway, but with all of the fun of a scooter. But because it’s electric (boogie woogie woogie) there are no emissions or noise as it moves up to 12 mph. It’s designed to be collapsible and lightweight, and at about 25 pounds, it’s easy to stow away—in a closet, under your desk, or even in the trunk of your car between trips. You control speed and braking with a push and pull on the handle bar. And if you want to make quick stops, there’s a foot brake. Once you get familiar with the motion, it’s a comfortable ride that can last for about 9-12 miles on a fully charged battery. Before you hit the streets, be sure to check local laws to find out where you can ride it—and don’t forget to wear a helmet. Whether you’re getting across campus or town, this scooter makes the trip way more fun. Hello everyone! I'm proud to introduce CityBug2 to The Grommet. I'd be happy to answer any questions you have! What stands out to you the most about CityBug2? For urban dwellers, why should they consider investing in a CityBug2? @Mike My daughter lives in Arlington, VA and her friend that just moved down there has been using the City Bug 2 because it is compact, powerful and gets them around easy. I guess the only fun caveat is being stopped and asked, what is it and where did you get it!! From a green perspective, it really is an effective way to get into work and do errands. No noise pollution either. Does it require balance like a skate board or is it more like a segway? @Brenda Hi Brenda, it is easier than a Segway, which requires some balance. I have yet to see anyone have any issue use it. Thanks for asking! How does it charge? Special Plug in? Does it recharge through wheel breaking or coasting, or plug in only? How about a person with a below the knee prosthetic? How would the handling be on that? @robert Hi Robert, it offer a descent platform and is reasonably stable. I see no reason why you would not be able to use it. @Dana Hi Dana, about 250 lbs is the max limit on the City Bug 2. @vicki Big hills are a challenge but more gradual inclines it zips them. I live on a steep hill and went up part way just to see how it did, not expecting much and it slowly climbed. It seems a little pricey for a scooter. Why is the price so high, and do you see the price coming down at all? @Emily Thank you for your question! We use similar tech as Segways. We took the utility of a classic Segway, and improved its functionality. We eliminated the bulkiness, price, and look to create our new age scooter. 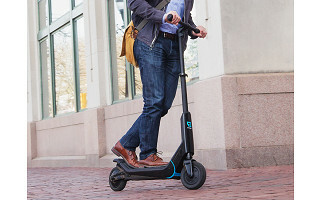 It's easy to get hung up on the word "scooter," however, CityBug2 is much more. The push-pull tech allows seamless gauge transitions, without obtrusive gear shifts. On top of the functionality, we have state-of-the-art hardware. Our batteries charge in 3 hours! They also last for up to 12 miles. As of right now, we do not foresee the price coming down. No emissions from Scooter, but some emissions from power plant making electric to charge. You're right, Mark. It doesn't completely solve the emissions problem, but it's a scoot in the right direction. Is the battery removable and, if so, can one take a charged extra battery along when distance will exceed the 9-12 miles on one charge? 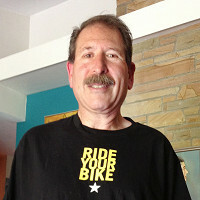 Hi Cynthia, the battery is rechargeable and Ken will fully service any issues. At the moment, additional batteries are not being sold separately, but that doesn't mean it won't happen in the future. Stay tuned! What is the weight capacity of this scooter? Hi Julie, there is a 220 lb. weight max. Buzz to class, the office, or around the neighborhood on an electric scooter that uses push and pull technology. CityBug2 rides smoothly, like a Segway, but with all of the fun of a scooter. But because it’s electric (boogie woogie woogie) there are no emissions or noise as it moves up to 12 mph. It’s designed to be collapsible and lightweight, and at about 25 pounds, it’s easy to stow away—in a closet, under your desk, or even in the trunk of your car between trips. You control speed and braking with a push and pull on the handle bar. And if you want to make quick stops, there’s a foot brake. Once you get familiar with the motion, it’s a comfortable ride that can last for about 9-12 miles on a fully charged battery.